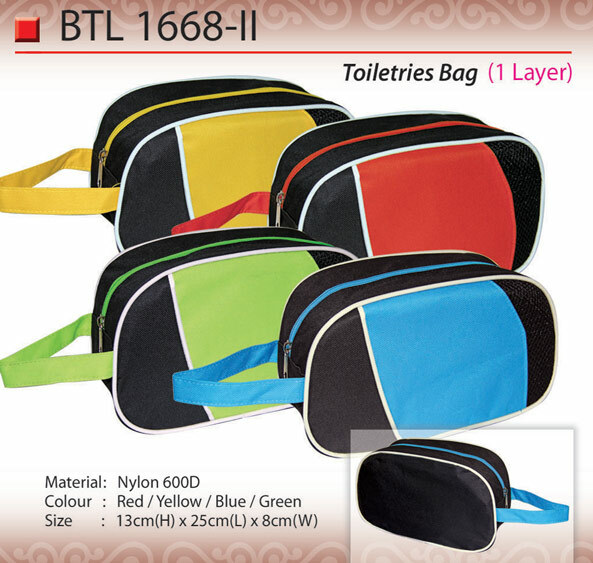 If you are looking for toiletries bag for an event, you have certainly come to the right place as we are one of the biggest toiletries bag supplier in Malaysia that offer various kind of trendy and colourful design. 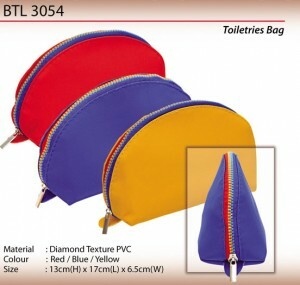 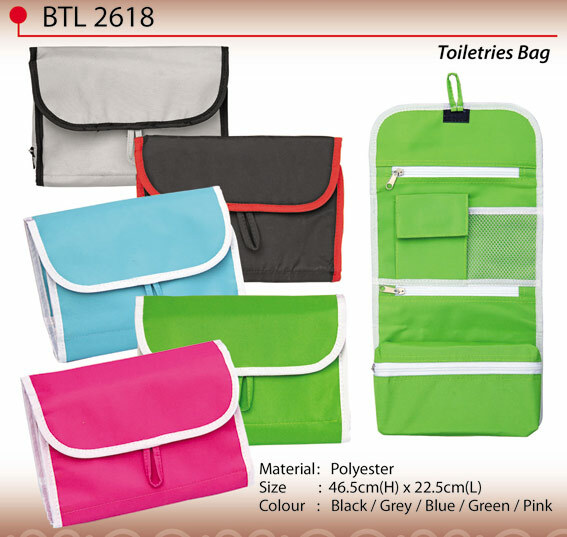 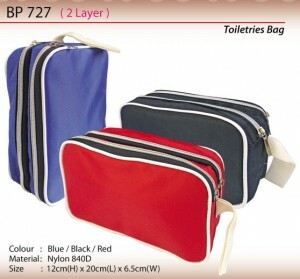 Toiletry bag is used to keep toiletries together in a small portable bag when on a journey. The bag comes in handy when the person has to freshen up after a journey or when the journey is overnight. The bag stuffs all the important toiletries and all of that in an organized manner which is very convenient. 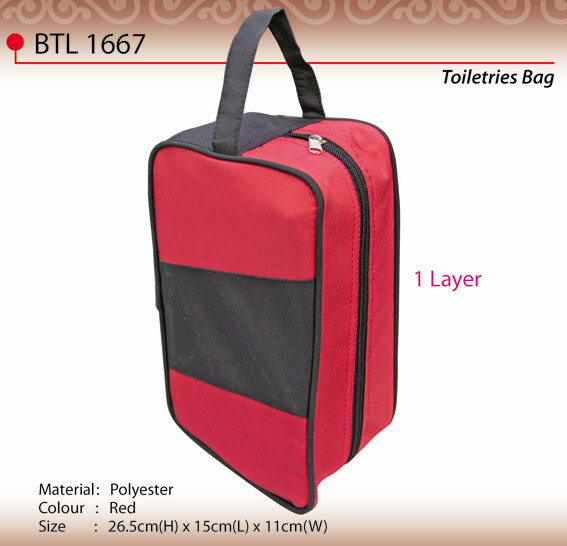 Extracting the right item becomes quicker with the use of toiletry bag. 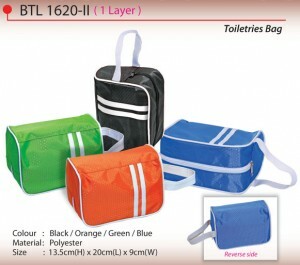 The bag is customizable for logos and brands can market themselves to get easy promotion for the company. 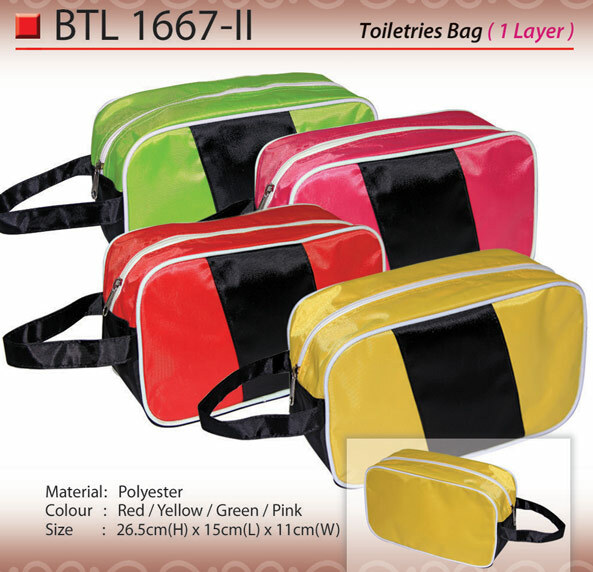 Toiletry bags usually have logos on them which provide effective exposure and publicity to the brand and it is a good method to increase customers for the brand.